Draugen is set for a May release on PC. Developer Red Thread Games has announced that adventure title Draugen will release on PC at some point next month. The title will be available on both Steam and Gog.com. Described as Fjord Noir, the game follows Edward Charles Harden, a man who's lived most of his life in self-imposed isolation. When his sister Betty, one of the remaining ties with the outside world, goes missing, he takes to a coastal village in rural Norway, alongside his ward Lissie, to discover what happend to her. "Draugen is more than a quest for a missing woman; it’s also a story about an unusual friendship, a forsaken community, a family torn apart by secrets, and a man haunted by his own past. ", a press release reads. 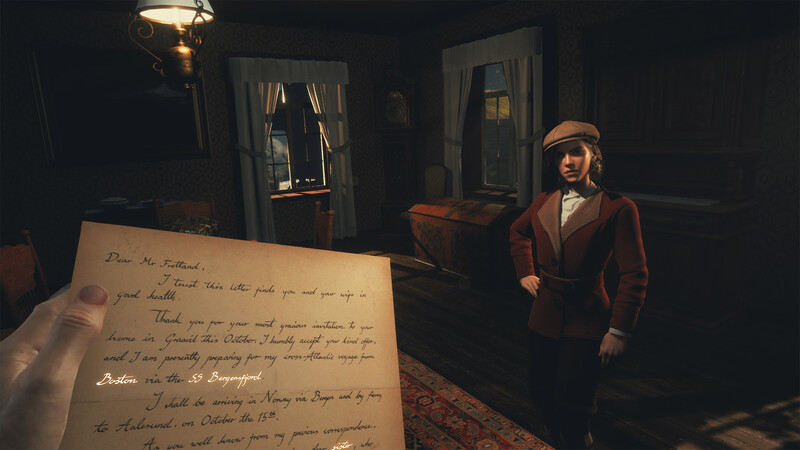 Draugen will feature a first-person perspective, alongside a dynamic dialogue system that fuels Edward's interactions with Lissie, his remaining link to the real world. As his mental health declines, the environment around him also changes. The release window announcement was accopmained by a story trailer which you can check out.